I've never thought that the idea of a staycation would thrill me this much. 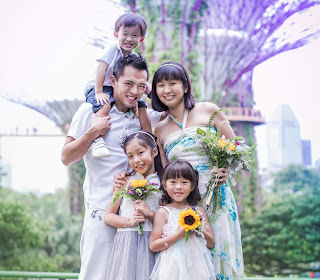 I mean, we love to travel abroad and explore different parts of the world but many a time, we tend to forget the fact that our little red dot has a plethora of family-friendly attractions and activities to offer us. 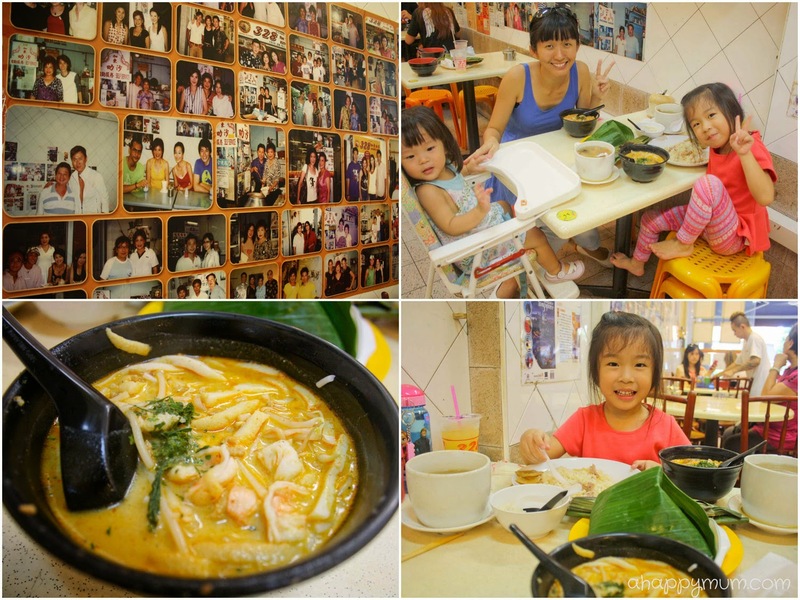 Our first staycation in Singapore was at Village Hotel Katong, with much thanks to Far East Hospitality for letting our family be the first to experience their Family Weekend Savers package. When I told Angel that we were going for a hotel stay, she jumped up into the air and exclaimed "Hooray! We are going overseas!" After explaining to her that we were going stay in a local hotel, did it diminish her joy and excitement? Why, not in the least. To her, it was a vacation nonetheless and as long as we were together as a family, that was all that mattered. You know what I love about staycations? Firstly, you don't need a big luggage. All we took were two small bags packed with swimming gear, clean set of clothes, pyjamas for the kids, toiletries and we were ready to go. Secondly, you get to explore the hotel surroundings and discover parts of Singapore you never knew existed. You might visit a new shopping mall or savour local delicacies that you had never tasted before. Thirdly, you can fully utilise the hotel facilities, like soak in the pool or workout in the gym, or if you prefer, simply rest and relax in the comfort of your room. Lastly, I don't know about you but hotel beds, at least most of them, have this amazing power to make me feel comfortable and even if the baby still wakes me up, I usually get a pretty good night's rest. Village Hotel Katong, one of the few hotels located in eastern Singapore, is within a 5-min walk to Parkway Parade Shopping Mall and a 10-minute walk to East Coast Park. There is absolutely no need to worry about food when you stay here. Besides the Katong Kitchen located in the hotel which offers international buffet lunch and dinner, you can also find an abundance of cafes, restaurants and coffee shops with delectable, and affordable, menus nearby. For lunch, we indulged in one of my favourite Peranankan cuisines that had eluded us since we moved to Sweden - Katong Laksa. As the flagship Village hotel, Village Hotel Katong reflects the strong Peranakan heritage of the surrounding Joo Chiat and Katong district in Singapore. 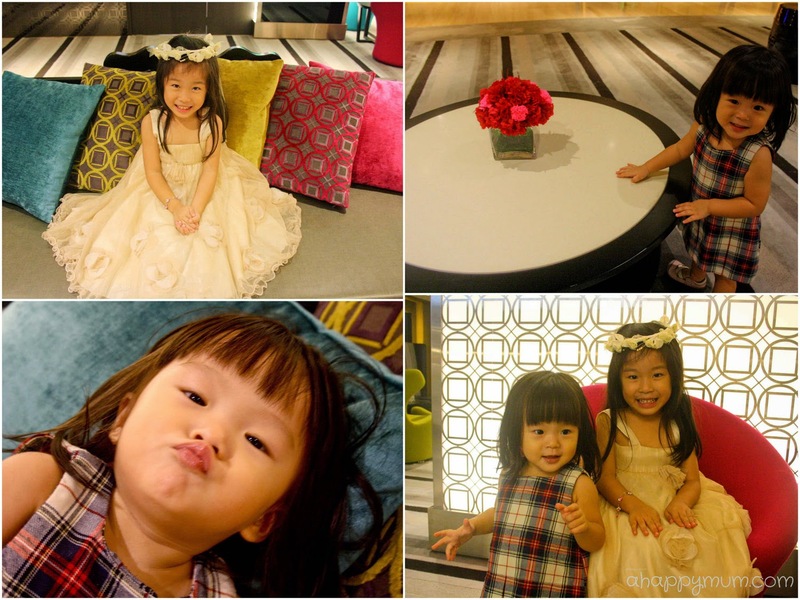 The moment we stepped in, we were greeted by a warm and homely interior at the lobby, so much so that the first thing my girls did was to sit down on the soft carpet and then start to roll around. We stayed in one of the Family Rooms located on levels 9 to 12 which are uniquely designed with a warm fuschia Peranakan colour on a backdrop of grey motifs. Ideal for a family of four, the room size ranges from 31 to 44 square metres and comes complete with two queen beds, complimentary wired Internet and Wi-Fi access, 46-inch LED TV, balcony and a standing rain shower in the bathroom. While having free Wi-Fi is always good news, do avoid bringing laptops and if you have to use your phone to surf the Web, do it minimally. After all, it is a family staycation, right? See? The beds were really comfy and cosy. The moment the kids laid down, they didn't want to get up and I assure you that it was a rare occurrence. What's more, given that they were able to watch cartoons all day long, it was blatant that a staycation was as good and as relaxing as a vacation for them. As much as we loved our room, once we had settled in and cleaned ourselves up, it was time to spring into action because guess what, this was going to be a sporty family staycation packed with lots of fun and thrills! 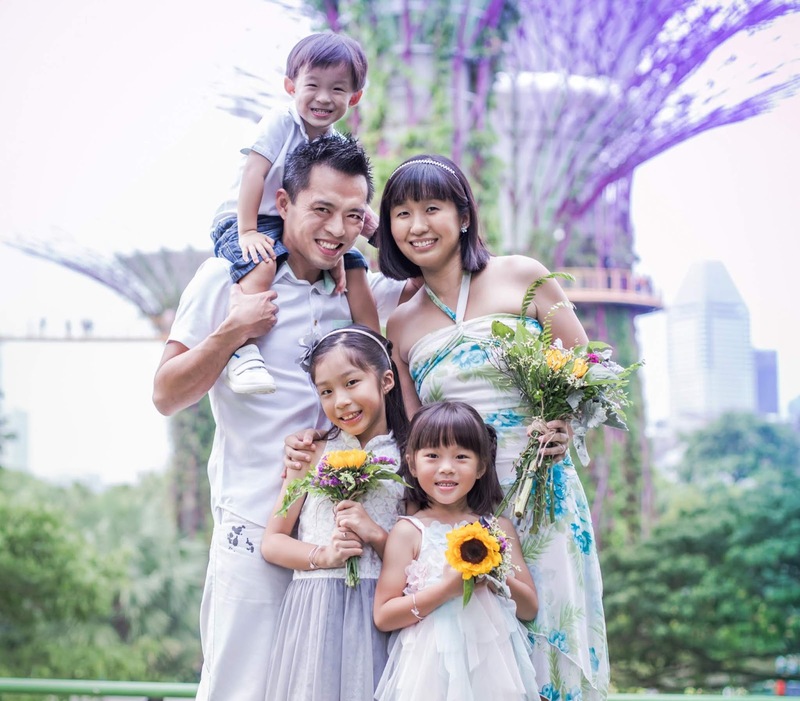 Starting in mid June 2014, Village Hotel Katong will be launching a new weekend family package that will include one night's accommodation in a Family Room with queen twin beds, breakfast for 2 adults and 2 children, complimentary Wi-Fi and activities in Big Splash. Most of us probably remember Big Splash as the fun waterpark with the longest and highest slides in the world. What some of us do not know is that after it went through a major redevelopment and repened in 2008, it has become a dining and lifestyle destination that offers various family-friendly recreational activities. At Lilliput, you get to go on an indoor mini-golf adventure and putt your way through 18 golf holes - which are modelled after famous Singapore landmarks like the Merlion, Clarke Quay, Changi Airport, Esplanade, Sentosa, Singapore Zoo and so on. What impressed us most was that in addition to sound and visual effects, the mechanism was breathtaking as we witnessed our golf balls taking a ride on the MRT, going into a cable car at Mount Faber and splashing through the Fountain of Wealth. At four and a half years old, Angel is at the age where she is willing to try out new things, go on bold adventures and gets a kick out of thrills. Well, we did let her try ice skating on our cruise last year and this time round, I thought it was the perfect opportunity for her to experience inline skating. Of course, it was easier said than done because once I was standing on my skates, it was hard for me to balance and find my way around. Oh, the flat-footed hubby decided to skip this session and focused on taking care of the little one. So basically, we were on our own but one way or another, we survived and it was yet another fun and memorable milestone for my big girl. 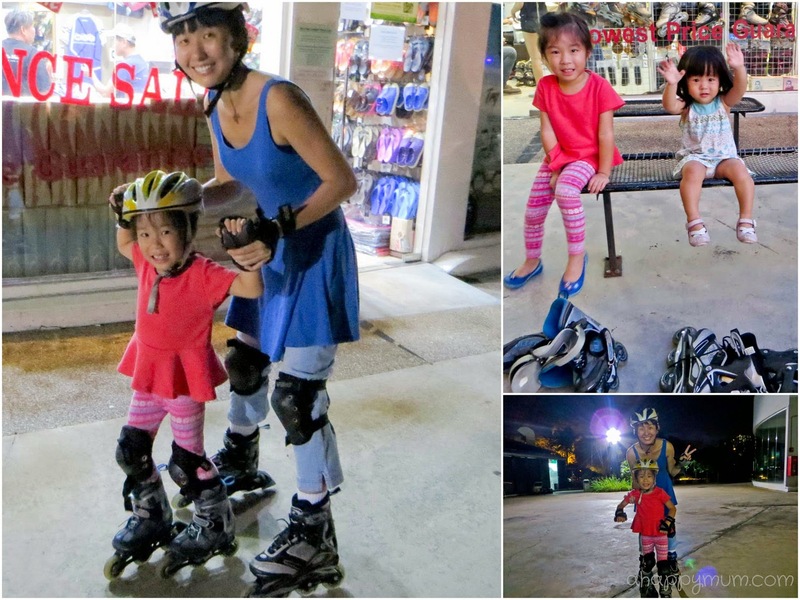 I had always wanted to do this and during our staycation, we finally tried quad cycling for the first time! 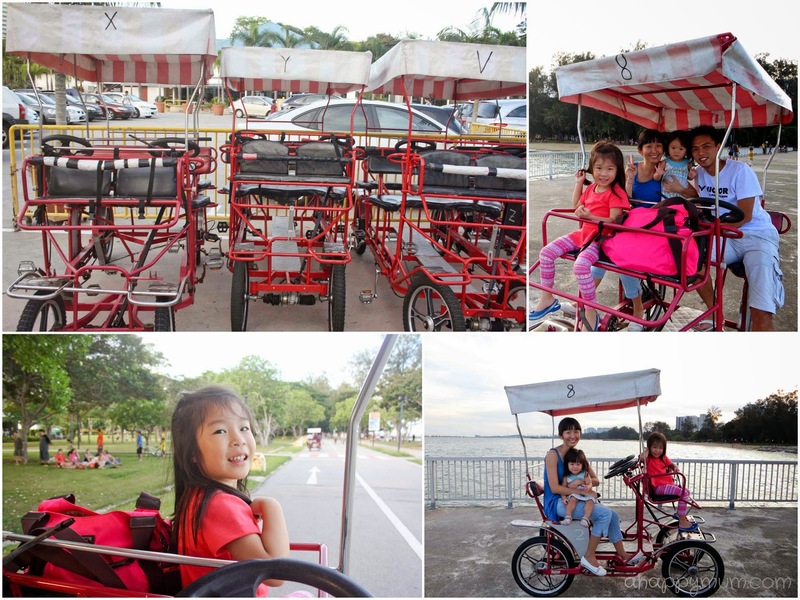 Ours was the quad cycle (2-seater) since both our kids did not have legs long enough to reach the pedals. The good thing is you can just let them sit in the front row although Ariel decided she much preferred my lap. Despite the mozzie bites, we still enjoyed the fun, smooth and I would say slow ride. Angel was thrilled to ride past camping tents and barbecue pits while trying to spot birds and cats. For me, I just took in the sunset scenery and relished that precious family moment as best as I could. For those who do not drive, there is also an hourly shuttle service you can take from the hotel to Big Splash starting from 8:40am to 10:40pm and from Big Splash to the hotel from 9:20am to 10:20pm. One other best part about a staycation is that when it is time to rise and shine the next day, you wake up to a buffet breakfast and that is just the perfect start to a happy day. Katong Kitchen is an international concept and halal restaurant featuring Nonya, Macanese, Asian, local Chinese to Western fare. 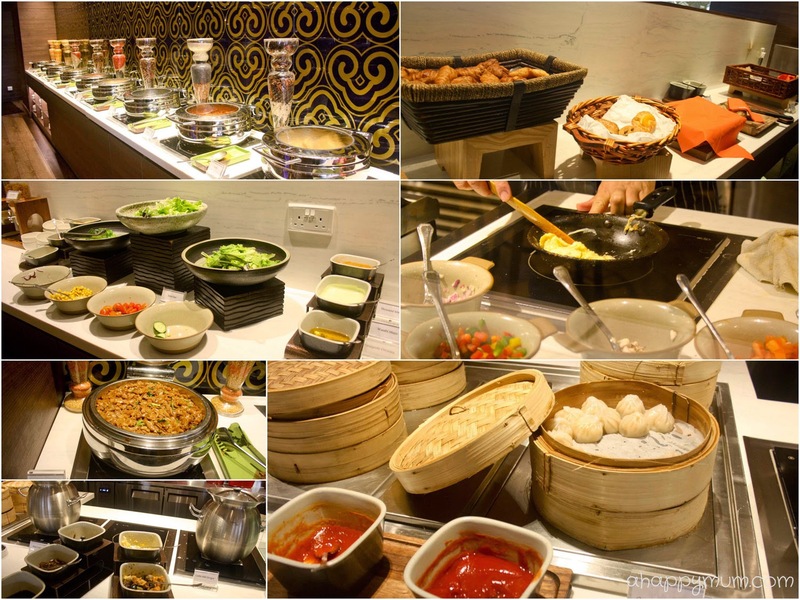 Other than the typical food you see at an American breakfast, we were delighted to find Char Kway Teow, cuttlefish porridge and even lotus buns and shrimp dumplings! Located at the lobby on level 2, Lapis Lounge serves alcoholic and non-alcoholic drinks as well as a selection of snacks such as truffle fries and desserts like cheesecakes. An exclusive dining area for the Club Room and Suite guests, the Peranakan Lounge serves drinks throughout the day and cocktails in the evening, offering a conducive environment for business travellers. For the fitness enthusiasts, enjoy a workout at the gymnasium or for those who prefer to chill, take a break at the Saffron Foyer located on level 4. For families with kids, there is a high chance that going to the pool becomes a must on staycations. Despite it being an outdoor pool, a sunny morning and the fact that the hubby wanted to sleep in, the girls and I made it there after breakfast and I was glad we had some splashing good times. There was also a steam room facility and it was the first time we did it together. Of course, we only let the baby in for a couple of minutes! Angel said she was amidst the fluffy clouds and you bet she enjoyed it immensely. 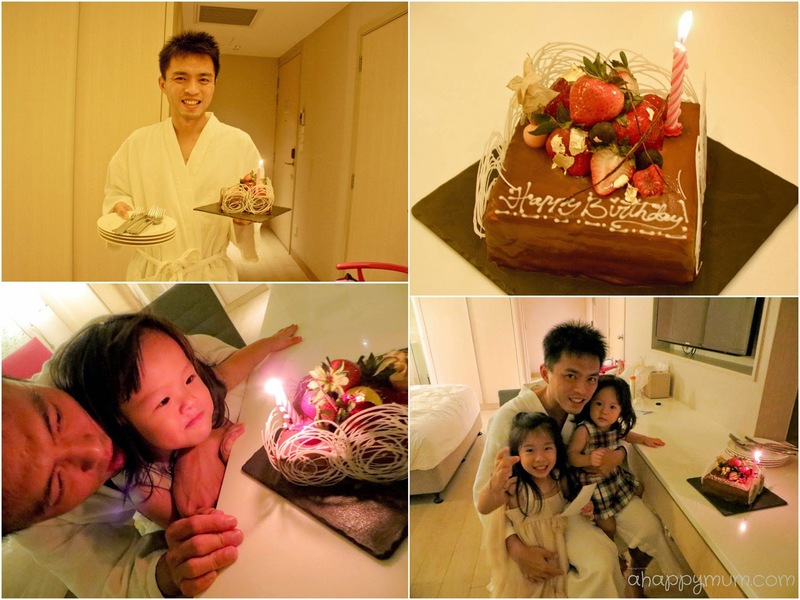 The staycation came in the nick of time to celebrate the hubby's 35th birthday. I wanted to treat him to a seafood dinner at Long Beach Seafood Restaurant but he politely declined, saying that we should just dine at Katong V which was directly linked to the hotel. So, the birthday day chose to have Japanese food for dinner at Tomi Sushi. I have to say although the prices seemed a little exorbitant at first, we were all impressed by how palatable every dish was. 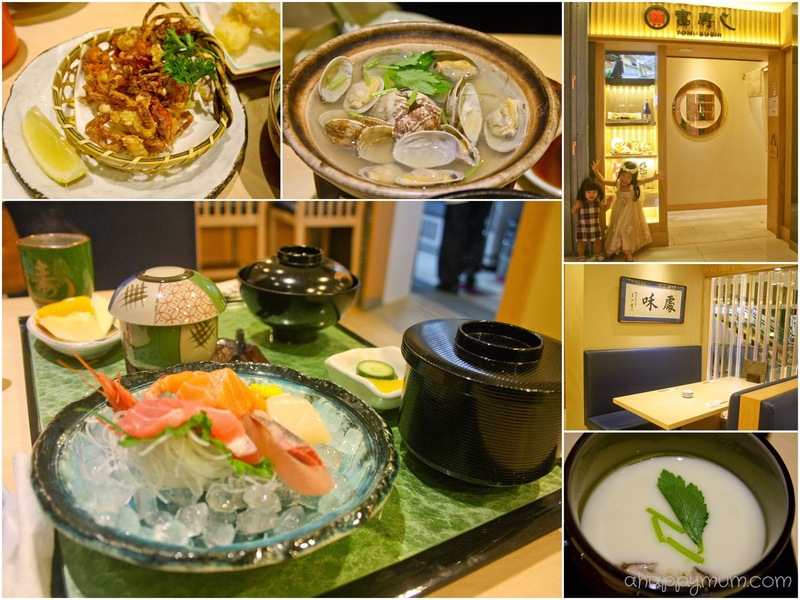 The sashimi was fresh, the soup was savoury and even the chawanmushi was silky smooth! I ended up treating the boy to a S$140 birthday dinner which could probably have gotten me two fat crabs at Long Beach. But, it was definitely a dinner to remember and it felt awesome seeing the looks of contentment and big smiles on the faces of the people I love. As for why the big girl was dressed that way, well, why not? I love to see how her face beams when she is dolled up like a princess and I guess that is one of the best things about having a daughter. I think she made Daddy's heart melt for a second when she walked up and whispered in his ear "Papa, I am your birthday present". For the record, I do think she is one of the two best presents I can ever give to him. Nothing beats being with your family on your special day and I have to thank the staff at Village Hotel Katong for taking the effort to prepare a surprise cake for the birthday boy. Even though Angel kept whispering, or chanting, "Don't tell Daddy got cake, don't tell Daddy got cake" during the dinner, we somehow managed to keep it a secret till the end of the night. In other words, the surprise remained a surprise and when the cake arrived at our doorstep, the birthday boy was nearly asleep. Still, we thoroughly enjoyed the candle-blowing ceremony and lit the candle twice so the girls could take turns to blow. This chocolate cake topped with fresh berries from Katong Kitchen exceeded our expectations and was so yummy that the girls just couldn't stop eating. Mainly the chocolate, of course. It was absolutely a sweet birthday celebration and fun family staycation that will leave behind fond memories in our hearts. Many thanks to Village Hotel Katong for a terrific experience! 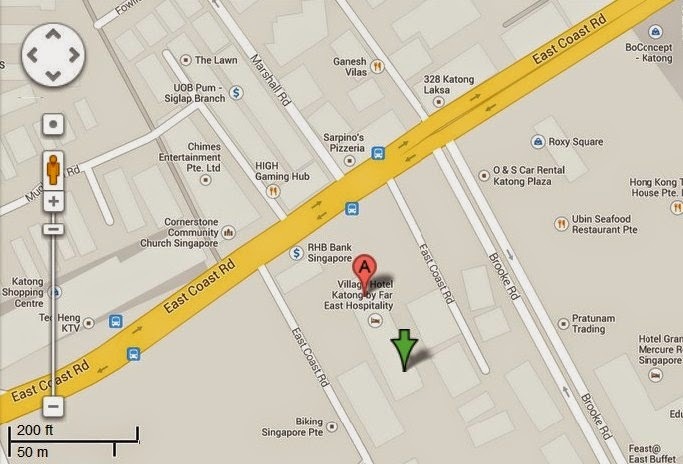 Village Hotel Katong is located at 25 Marine Parade, Singapore 449536. 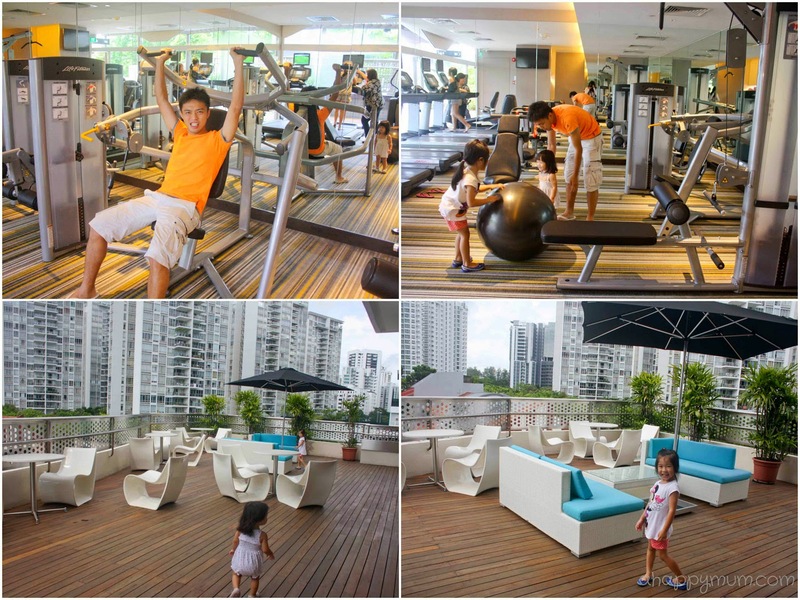 The Family Weekend Savers Package starts from S$295++ and more information can be found on its website from 13 Jun. For enquiries and hotel reservations, call +65 6344 2200 or email info.vhk@fareast.com.sg. 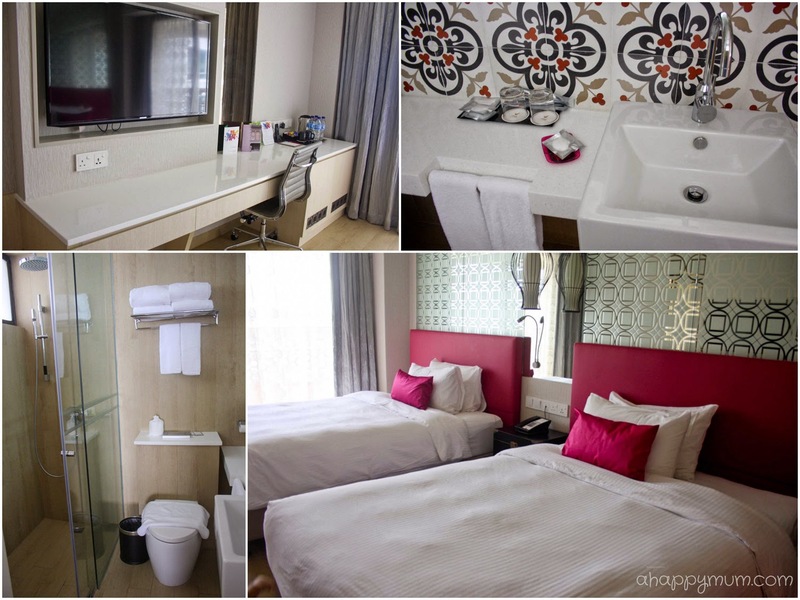 Disclosure: We were invited to experience the Weekend Staycation Family Package at Village Hotel Katong and received one night's accommodation and complimentary passes to the activities. All opinions are our own. It was a lot of fun! The kids loved it and so did we. You should definitely consider going one a staycation, this one was pretty awesome and filled with family activities! Certainly happy to go staycation there again. Xie Xie le, lao po !!!! Glad you enjoyed the break! Oh yeah, the surprise cake that delighted the kids more than you. Haha. I thought the card was a sweet gesture from the hotel staff too, they were awesome! =) Till the next staycation! Lol at "the birthday boy was almost asleep"!!! My fav part about a hotel stay is definitely waking up to a buffet breqkfast! That isn't prepared by me!! !